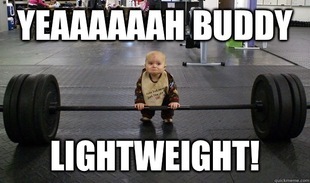 Think back to the first time you ever lifted weights. What did you do? You probably walked up to a dumbbell rack, picked up the heaviest weight you could hold, and performed some exercise movement–heck, any exercise movement–to the best of your ability. Rep after rep after rep. And you did so until you could no longer move the weight. Then you rested—probably until you felt fresh again—and repeated. Sometimes, a little naivety and simplicity is a good thing. But that simplicity is also why so many people are frustrated by what they do in the gym. Beyond the exercises you perform and the frequency with which you train, most people don’t know how hard to push on any given set. They don’t know how to build muscle. And they don’t know how to build strength. What they do know how to do is just perform exercises. It’s the reason why “training to muscle failure” is one of the most highly debated topics in the fitness industry and, truth be told, it’s extremely misunderstood. Is training to muscle failure good or bad? Right or wrong? Will it help you achieve your goals or will it devastate your body and ruin your chances for success? The answer – as most things in life – depends entirely on the individual as well as their needs, goals, and preferences. Unfortunately, though, saying “it depends” doesn’t help to clarify the situation. You need to go to the gym and know what to do. So consider this your guide to know when—or if—training to muscle failure should be incorporated into a training program. While there are numerous types of muscular failure, the most commonly referenced type is known as Concentric Failure and it’s what most people are referring to when they talk about failure. To use the bench press as an example, failure would be the point when—after lowering the bar—you are unable to press it back to the starting position. Research comparing the differences between training to muscle failure vs. not training to muscle failure is, unfortunately, scarce. Furthermore, it’s unlikely that future research will tell us more than what strength coaches, bodybuilders, and other experienced fitness professionals have intuitively known for years. Willardson et al. is perhaps the highest quality review of the literature pertaining to failure-based training. After examining the data, the authors concluded that training to muscle failure is a valid method to use in order to enhance muscle hypertrophy, facilitate maximal strength gains, and break through plateaus. Linnamo et al. found that training to muscle failure resulted in a significantly greater increase in the secretion of growth hormone compared to non-failure based training. While this finding in no way, shape, or form proves that training to muscle failure is better than other methods, it may lend credence to the success so many athletes, bodybuilders, and fitness enthusiasts have had with failure-based training. There are other studies, but the findings are limited and hard to apply to the typical gym-goer. And that’s really what matters: How does this apply to you? So let’s start there: You. After all, it’s your goals and training style that will play the biggest role in determining if and when you should push you body to failure. And that decision comes down to asking 5 questions. Question 1: How Intense is Your Training? Training intensity is perhaps the single most important factor in deciding whether or not training to muscle failure is effective or even appropriate. Training intensity refers to the percentage of weight being lifted in relation to an individual’s 1-repetition maximum (1-RM). 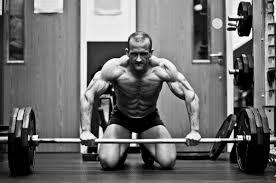 In my opinion, training to muscle failure at intensities at, or above 90 percent of your 1-RM should be avoided. Training to muscle failure with such heavy weights will do very little (if anything) to enhance muscle hypertrophy and may actually hamper strength gains. Furthermore, training to muscle failure with near maximal weights will almost inevitably result in a breakdown of technique, drastically increasing the likelihood of injury. Generally speaking, training to muscle failure should be reserved for training percentages ranging from 50% to 85% 1-RM. While I rarely prescribe training to muscle failure at either of these end-ranges, I believe that they are appropriate guidelines to follow for a majority of intermediate and advanced trainees. Keep in mind, though, training to muscle failure at 50% of your -RM can take an inordinate amount of time to complete and may not be well suited for those with time restrictions. On the other hand, 85% of your 1-RM is still heavy weight and the use of a spotter is strongly encouraged. Question 2: What is Your Training Age? There are three major categories signifying the current “level” of a given trainee. I call this “the trainee continuum” and they are: beginner, intermediate, and advanced. An individual’s training status will determine what they need, and therefore someone who is a beginner might require unique methods of training that may substantially differ from someone who is at an intermediate or advanced stage. For example, beginner trainees must, first and foremost, work on developing proper form and technique in compound movements such as the squat, bench press, deadlift, and chin-up. Consequently, training beginners to failure would likely do more harm than good as maintaining proper form becomes exceedingly difficult in a fatigued state. On the other end of the spectrum, intermediate and advanced trainees usually understand what constitutes correct technique so their time would likely be better spent bringing up individual weaknesses through various methods of strength training. Increasing muscle hypertrophy, for example, is often necessary for physique competitors and strength athletes to improve performance. Since training to muscle failure “may activate a greater number of motor units” and potentially enhance muscle hypertrophy, training to muscle failure is often warranted among these individuals. 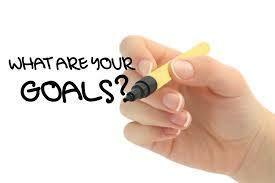 Question 3: What is Your Goal? An individual’s desired goal will dictate numerous components of their program, not least of which includes whether or not they should train to muscular failure. Take, for example, the differences between powerlifters and bodybuilders. Powerlifter’s are focused on maximal strength development and consequently train at relatively high intensities of their 1-RM. Additionally, powerlifter’s place a distinct emphasis on full body, compound movements, which require a great deal of skill to maintain proper form. Bodybuilders, on the other hand, are focused on improving muscle hypertrophy and, as a result, train at comparatively lower intensities of their 1-RM because strength is not always the answer. 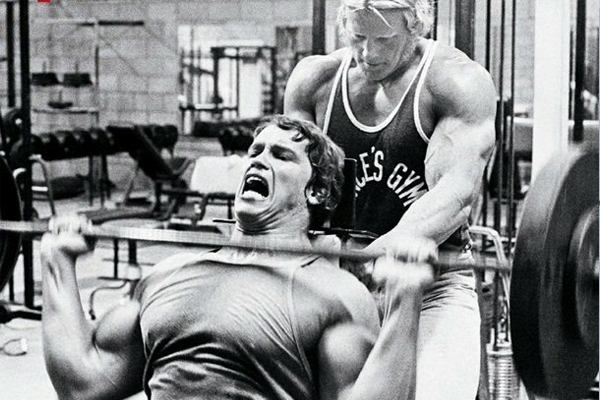 What’s more, bodybuilders tend to emphasize smaller, isolation movements designed to target individual body parts, which require less skill to maintain proper technique. Because of these different approaches and the types of exercises performed, bodybuilders are able to train to failure more frequently than powerlifters. Not only is it safer for bodybuilders in that they are using less complicated movements at lower training intensities, but it’s, in all likelihood, a highly beneficial component of their training protocol. It’s important to note, however, that many elite powerlifters also train to failure on a regular basis. 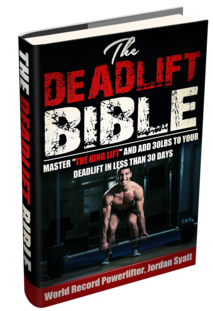 In fact, as a world record powerlifter myself, I regularly utilize failure-based training within my programs. That being said, I rarely train to failure in big, compound movements and almost exclusively use intensities between 60% to 80% of my 1-RM. 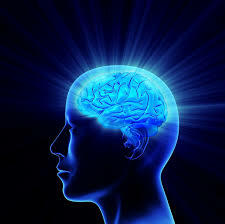 Question #4: What is Your Mindset? Failure occurs when an individual is unable to complete another full repetition. This tends to happen due to the onset of fatigue. Fatigue, however, is a truly subjective term and is nearly impossible to quantify. Based on pain tolerance, willpower, and other psychological factors, what constitutes muscular failure for one individual may only be slight discomfort to someone else. As such, it’s difficult to know whether a given individual is training to true muscular failure or simply cutting the set short. Furthermore, it’s important to note that while some individuals derive pleasure from training to muscle failure, others do not and attempting to force them may, in fact, deter them from strength training. Understanding the psychology of your clients (or yourself) and how they respond to training is of the utmost importance to long-term program adherence. Question #5: What Exercises Are You Performing? Any coach who understands the principles of strength training program design recognizes the more skill required for a lift, the less frequently it should be performed to failure. Conversely, the less skill required to perform a lift the more acceptable it becomes to train to failure. Snatches, for example, are arguably the single-most complex lift and training them to failure is dangerous. Simpler multi-joint movements, such as variations of the chin-up, bench press, and lunge, are suitable for failure-based training but should be performed with extreme caution. Same can be said for exercises like deadlifts. Finally, single-joint exercises, including bicep curls, triceps extensions, and calf raises, are the least complex of movements and are far more appropriate to train to failure. While it’d be easy to make a blanket statement about training to muscle failure, ultimately it depends on your answers to the questions above. Failure-based training is a valuable tool in your training arsenal when applied correctly. 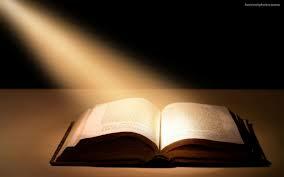 If it fits your goals, needs, and preferences then use it wisely and with caution. In The Syatt Fitness Online Coaching Program I help you burn fat, build muscle, and get the body you’ve always wanted. If you want to apply for a spot in my coaching program just fill out the form below, briefly explain how I can help you, and I’ll get back to you within 48-hours. Aragon, Alan. 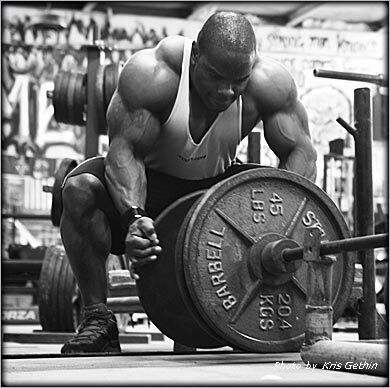 “Training to Muscle Failure.” Alan Aragon Research Review. Alan Aragon, Mar 2009. Web. Web. 9 Mar. 2013. Schoenfeld, Brad. “The Mechanisms of Muscle Hypertrophy and Their Application to Resistance Training.” Journal of Strength and Conditioning Research. 24.10 (2010): 2857-2873. Web. 10 Mar. 2013. <http://www.ncbi.nlm.nih.gov/pubmed/20847704>.